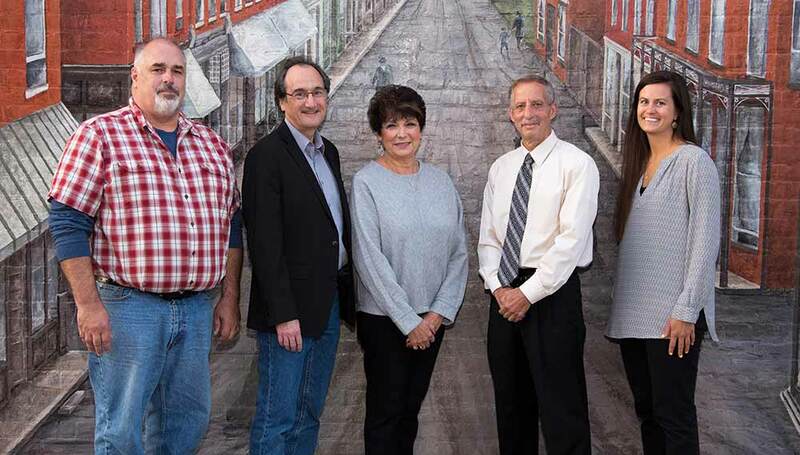 The Village Board is our primary legislative body, consisting of the Mayor and four trustees. Trustees are elected in the March general elections and serve a term of four years. The Village Board selects a Village Administrator, Deputy Clerks, Deputy Treasurer, Code Enforcement Officer, Fire Marshall, Zone Enforcement Officer, Planning and Zoning Board Members as well as the Village's Accountant, Lawyer, and Engineer. These appointments are made during the annual organizational meeting, which is the first meeting in April. Village citizens can serve on a number of boards that make decisions affecting our community. E-mail the Village Board and tell them about your interests and experience. Board members are appointed by the Mayor with approval of the Trustees. Anna Marie Barclay is serving her sixth term on the village board, her second as Mayor. She has served as Chairman of the Tulley Building Committee and Director of Tulley Roof Project, Sage Pavilion project, and Park Improvement projects, and Archive Storage Room project, was a member of the Town/Village Comprehensive Plan Committee, acts as Community Action Day Coordinator, established the Christmas Tree Lighting Ceremony for the Village, serves as Chairperson of the Village Tree Board, currently serves as BBCA president, and participates in many community organizations. Anna Marie and her husband David have resided in the village since 1977; their sons graduated from Byron-Bergen; Derek and his wife own and operate Pivot Acupuncture and Physical Therapy in the village, and Alec is COO of T2 Biosystems. Now retired from a 33 year teaching career, Anna Marie helps out with the family business and is very active in her position on the board. As a member of the board, she has always worked "to maintain and enhance the quality of life and sense of place in our family-oriented community, to appreciate and protect the village we have inherited, to preserve our natural environment, and to encourage smart growth." Vickie Almquist was raised in Bergen and is a graduate of Byron Bergen High School. She is the daughter of Earl and Tally Almquist who were both very active in the community. She graduated from Pratt Institute in Brooklyn, and worked in New York City in Publishing Technology. Vickie returned to Bergen in 2009 and soon after joined the Planning Board, eventually becoming the chairman. She was also a member of the successful Comprehensive Plan committee. She is on the Village Park/Tree Board committee, and the Bergen Community Farmers Market committee. Vickie has been a Village Trustee since 2016. Vickie is also a member of the Triangle Club, the BBCA, and the Bergen Library Book club. Kevin Donovan has served as a member of the Village Planning Board for seven years and functioned as chairperson for three years. He served as a Village Trustee completing the remaining year of a vacated term. He is currently a member of the Comprehensive Planning Committee, a member of the Village Tree Board and the Village Parks Committee and also represents the Village at the Black Creek Watershed Coalition. Kevin is employed at Eastman Kodak. He and his wife Cheryl have made their home in Bergen since 1992 and have two children Sarah, a political science and history major at Lycoming College, and Sean, a current student at Byron-Bergen High School. Robert Fedele was appointed to the Board of Trustees by Mayor Barclay to fill the term vacated by Scott Morgante. Mr. Fedele was born in Rochester and attended Immaculate Conception and Holy Redeemer schools before graduating high school from Edison Tech. After school, in August 1960, he enlisted in the Air Force where he was on active duty for four years and inactive duty for two in the 29th Ground Electronics Engineering Installation Division, he was Honorably Discharged. Mr. Fedele married Judith Volkmuth on November 2nd 1968 and had three children Paul, Carl, and Theresa, all of whom still reside in Bergen. Mr. Fedele and his family moved to Bergen in October of 1986 and built a house where they still live at 51 Munger Street. He worked for Kodak, Ashwood TV Repair, as well as Sears Roebuck Service Center before retiring December 31, 1999. He is enjoying retirement, keeping himself busy collecting, restoring, and repairing antique pocket watches. Emily VanEenwyk is a life-long resident of the Village of Bergen. She is enjoying her 4th year of teaching grades K-2 at Cornerstone Christian Academy in Brockport and is looking forward to her 8th summer with the Byron Summer Recreation Program. Emily graduated from Houghton College in 2010 where she was active on the Campus Activity Planning Board and co-captain on the field hockey team. In 2012 she received her masters from American College of Education. Emily recently bought a home on Leroy Street and is excited to have the opportunity to serve our beautiful community. The Bergen Village Board of Trustees meet on the second Wednesday of each month, at 6:30 PM. View or download PDFs of agendas and minutes for each meeting through the links provided below. View or download PDFs of the Village's key financial documents through the links provided below.